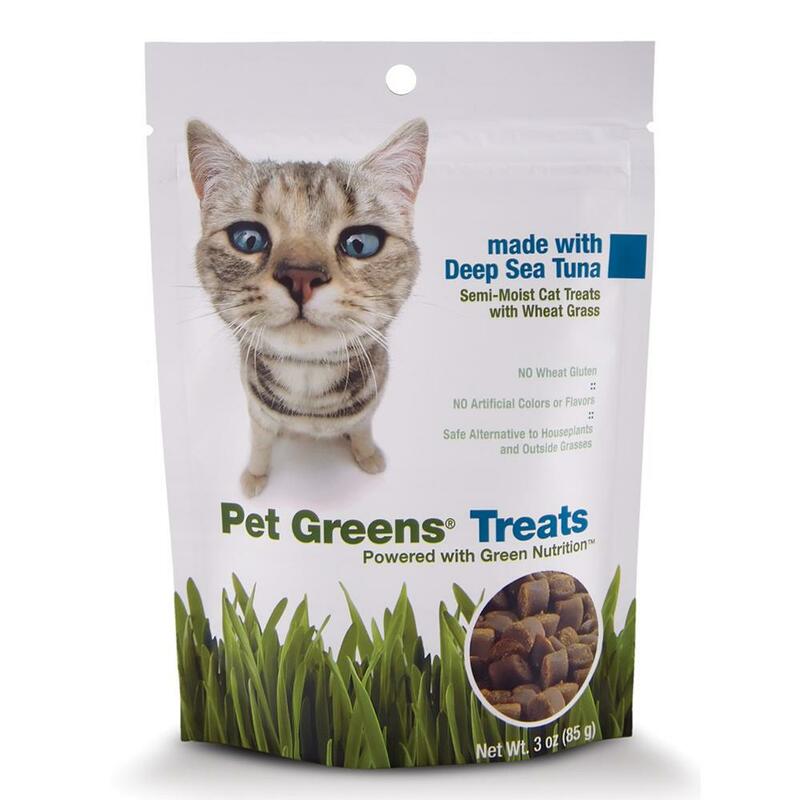 Wholesome, semi-moist Pet Greens Treats are the only cat treats made with organic wheat grass, an excellent source of green nutrition. High quality fiber found in wheat grass helps to support healthy digestion. Safe alternative to potentially harmful houseplants and chemically treated outside grasses.